White Glove Car Service is a small, professional car service focused on class and comfort for its riders. They wanted a website, logo and business cards that reflected their clean, professional, high-class service. 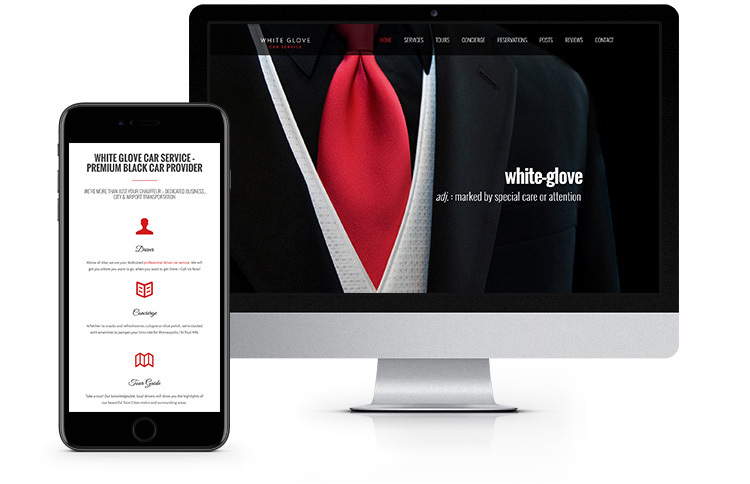 Virtual Monk designed the logo to be simple and elegant based on the client’s taste, and whiteglovecarserviceus.com was built to be as beautiful and classy as possible. In addition to SEO, extra local optimization was done to this site to help it climb through the tight ranks of local car and taxi services.